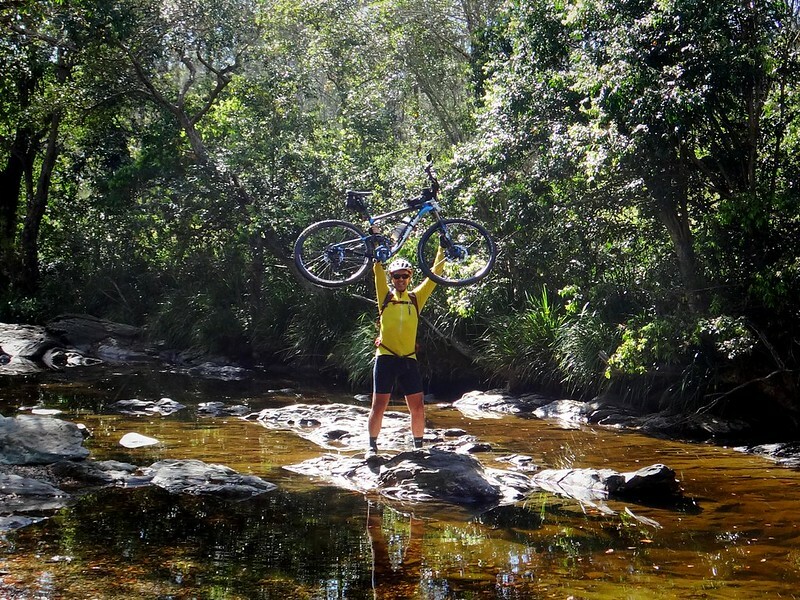 Darb has a goal to ride one thousand kilometres in the month of October as part of a fund-raising effort to support the Childrens Medical Research Institute and their fight against cancer in children. 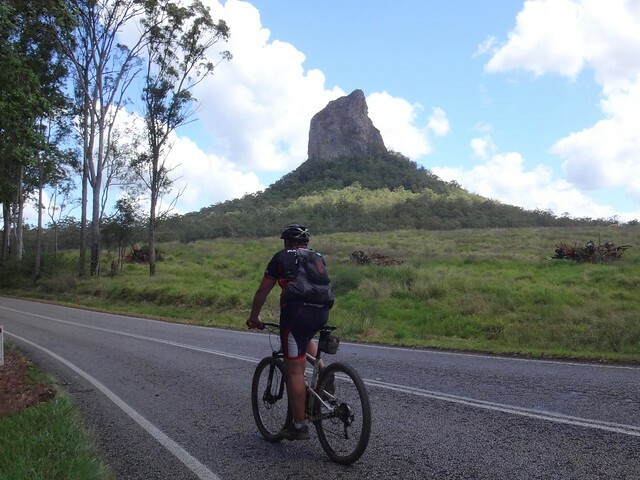 So Simon and I decided to take him on a big long ride up to the Glasshouse Mountains and back. 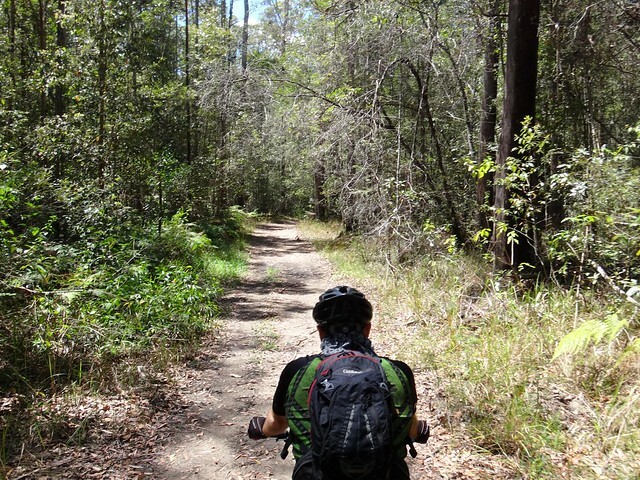 We started on familiar trails close to home while the day was still cool. 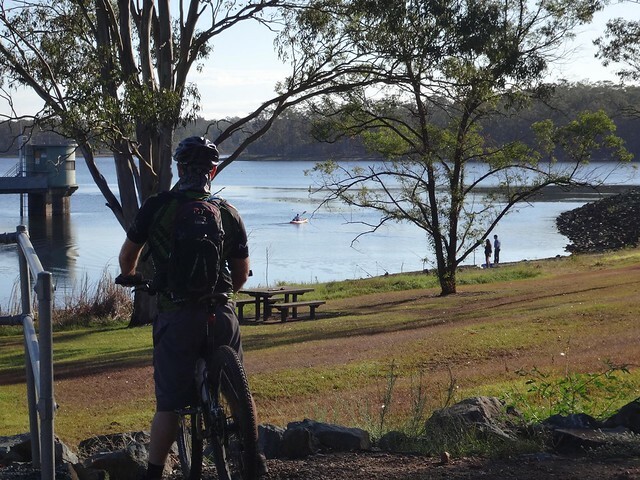 Kayakers paddled on the smooth water of Lake Kurwongbah as we rolled past. 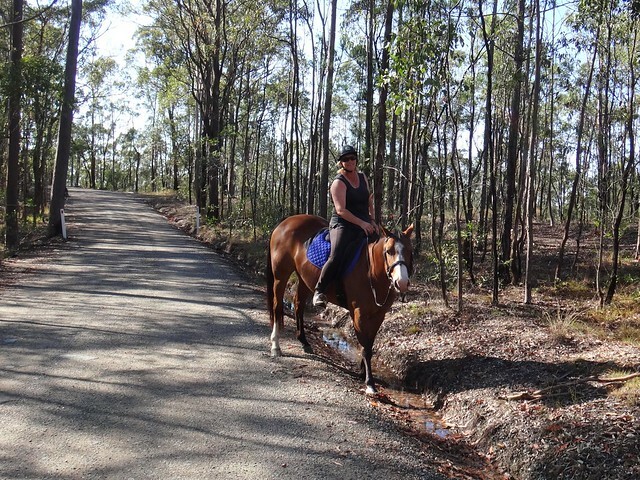 … and passed a horse rider who looked happy to be out in the bush on this beautiful day. We were heading almost due north towards Wamuran. 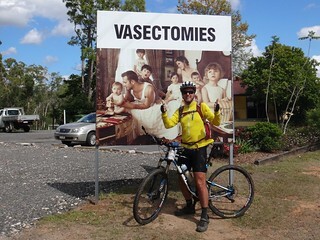 The road we were travelling on had a long and fascinating history. 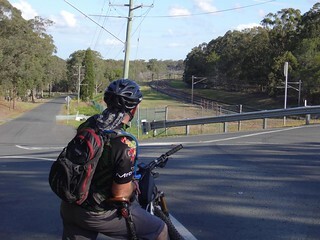 Dubbed “The Old North Road” it was used by the Archer Brothers in the early 1840’s as a way to travel from the Moreton Bay settlement to Durrundur Station near present-day Woodford. 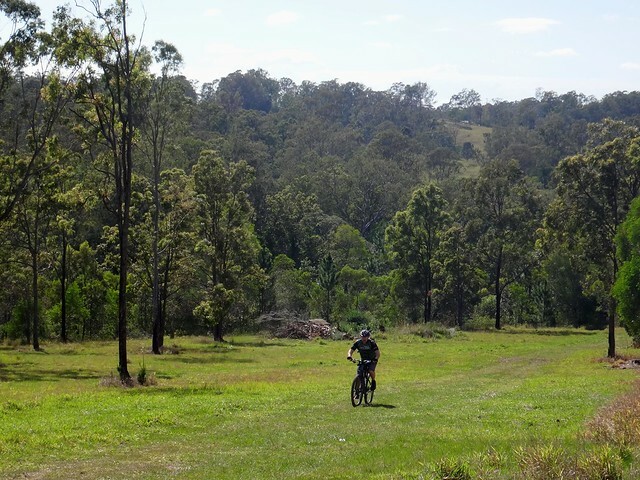 This track was based on pathways used by Aborigines for thousands of years as a way of getting from “Meanjin” (their name for Brisbane) to “Baroon” – a traditional meeting / fighting ground among the majestic Bunya forests on the shore of Obi Obi Creek near present day Maleny. We reached Gregors Creek after about 90 minutes. 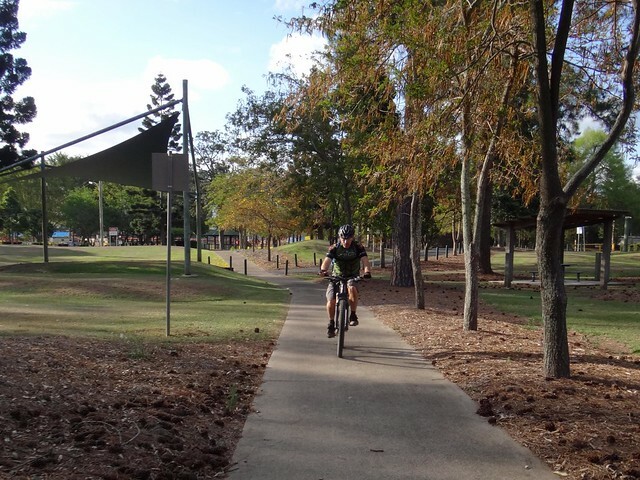 Simon and I had ridden through here a few years ago. It seemed much easier for us to ride it today than it did when we first did it. In 1846 Gregors Creek was the site of the tragic murder of Rev Andrew Gregor and Mary Shannon which led to race-based reprisals for over a decade. Today the peaceful green hills seem to have swallowed up the sorry past. 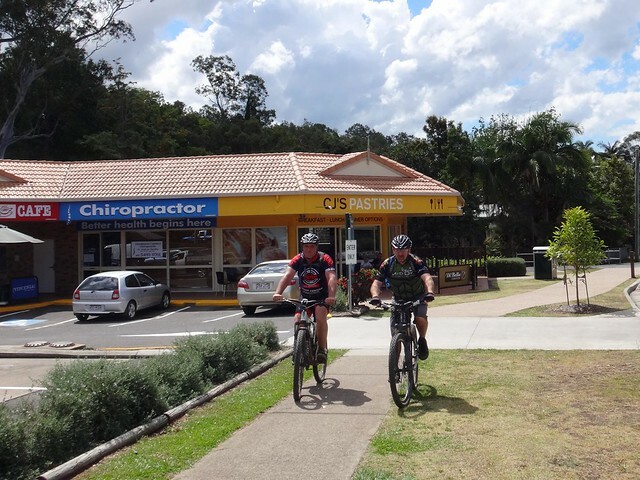 We stopped at Zillman’s Crossing on the Caboolture River for a quick break. Simon indulged my vanity and agreed to photograph me showing off in the middle of the river. I think he was secretly hoping he could take a few photos of me falling in – but (thankfully?) that didn’t eventuate. 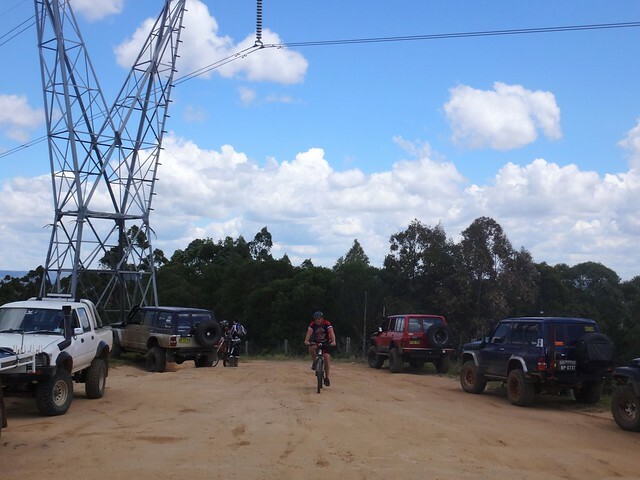 After about three hours we reached Wamuran for a quick snack. 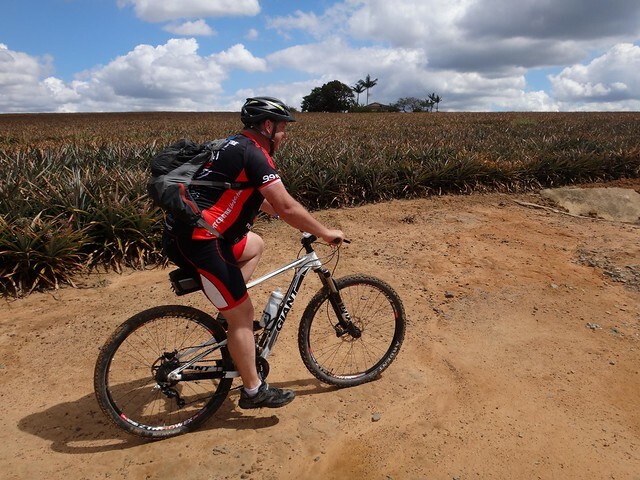 After refuelling at Wamuran we set off through endless pineapple fields towards the rail trail. 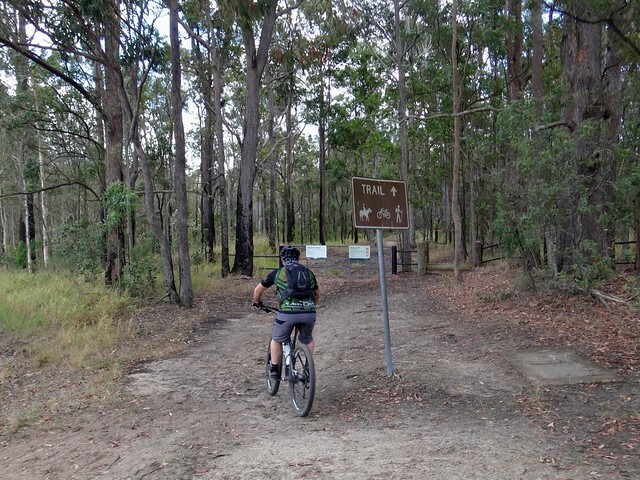 Based on a disused rail line which once ran between Caboolture and Kilkoy, the trail here has tracks branching off in a variety of directions. 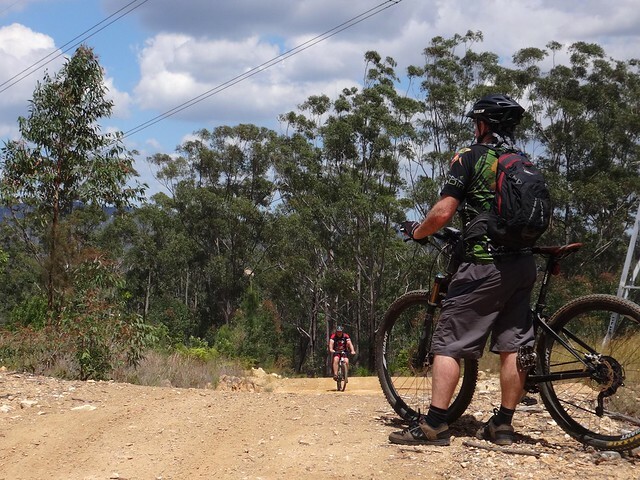 Rather than following the easy gradients of the rail trail, we decided to drop into granny gear and grind up some of the steeper tracks under the power lines. It was supposed to be a “short cut”, but it didn’t feel like it by the time we reached the top. 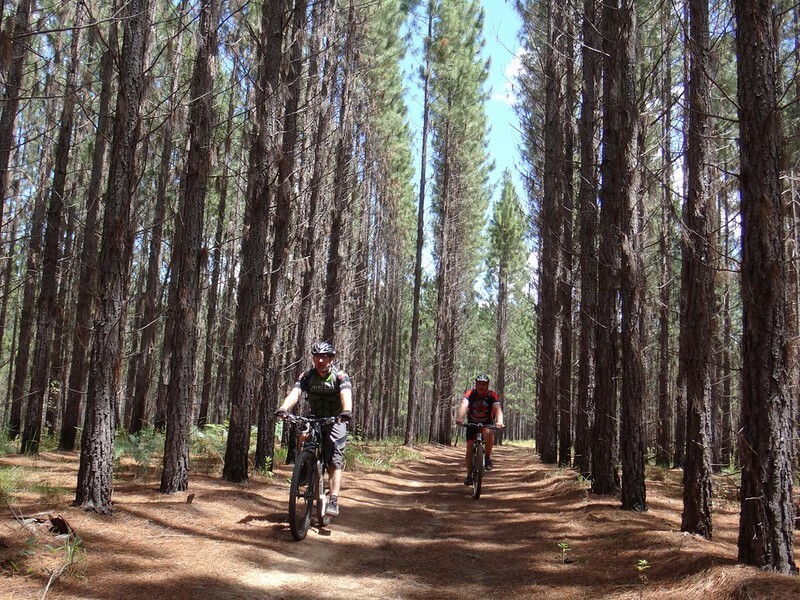 At the top of the hill we enjoyed some easy downhill tracks through our first pine plantations of the day as we rode northwest towards Woodford. I grinned as I soaked up the freedom in wide open space around me. Although we were having fun, we did have a few objectives. 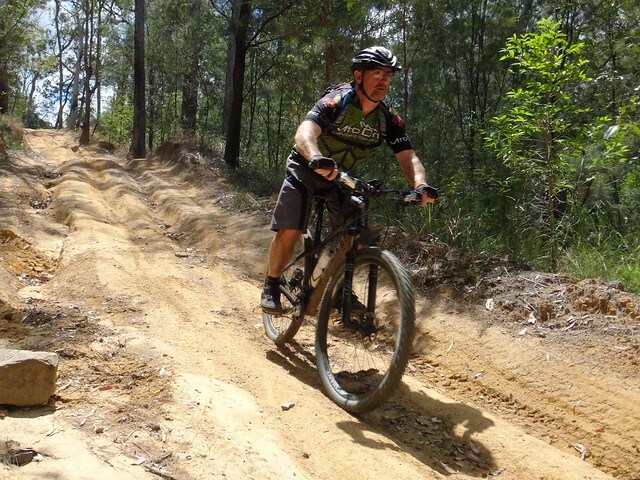 Foremost in my mind was the need to check that the tracks around Woodford were rideable. We’re planning a large social ride here in a few weeks with about 30 friends, and I wanted to make sure that our planned route would work. 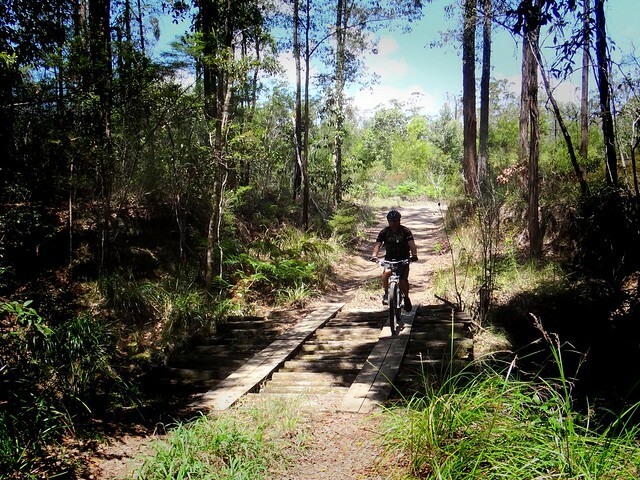 I mentally ticked off a few boxes as we rolled over a couple of plank bridges in the cool forest. 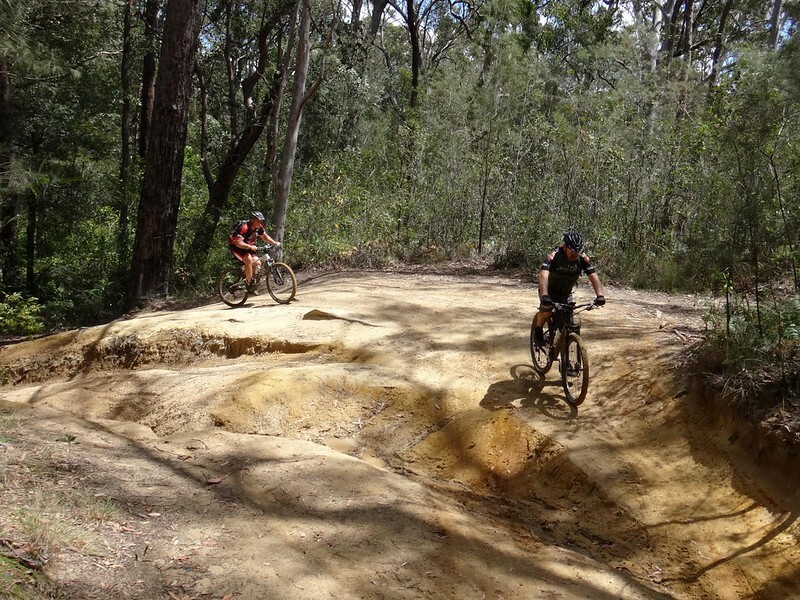 We’ve ridden our bikes down The Giant Drop a few times. 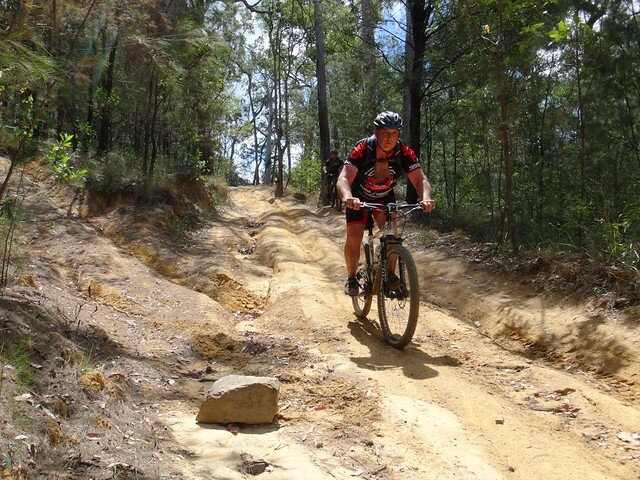 It’s a really challenging hill which requires total concentration. Today I was impressed to see people drive UP it in their Four Wheel Drives. 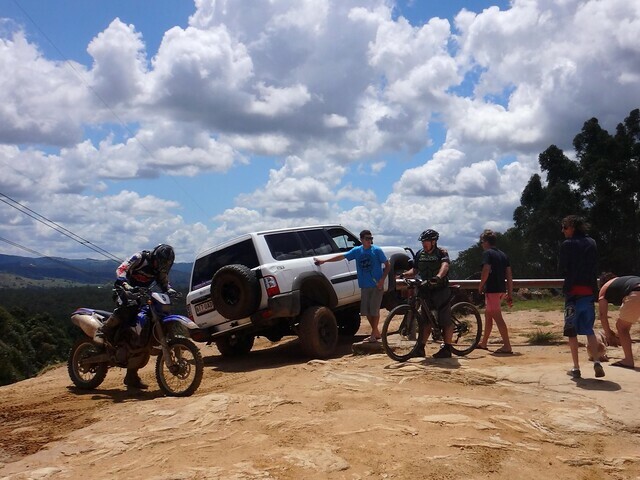 The place was crawling with 4WD’s and trail bikes. Everyone seemed to be having a good time. 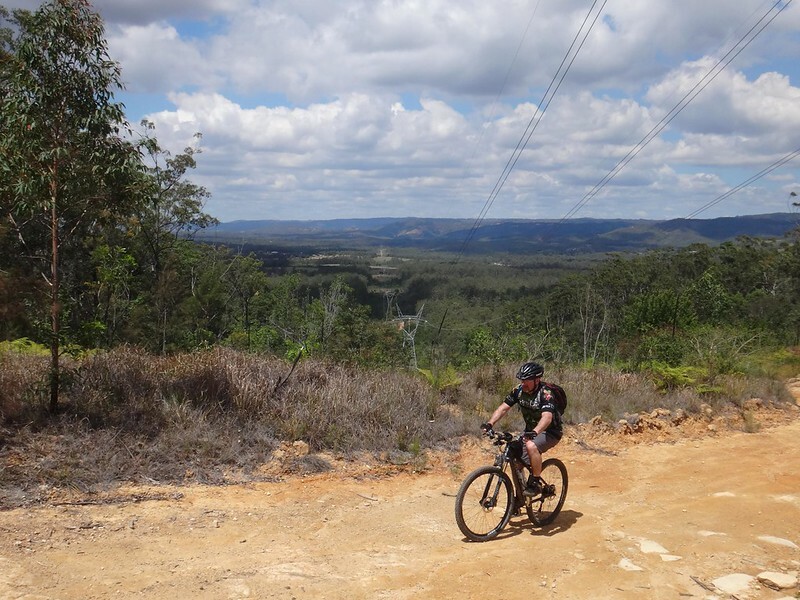 We decided to give The Giant Drop a wide berth and rode down the hill the easy (and more scenic) way. 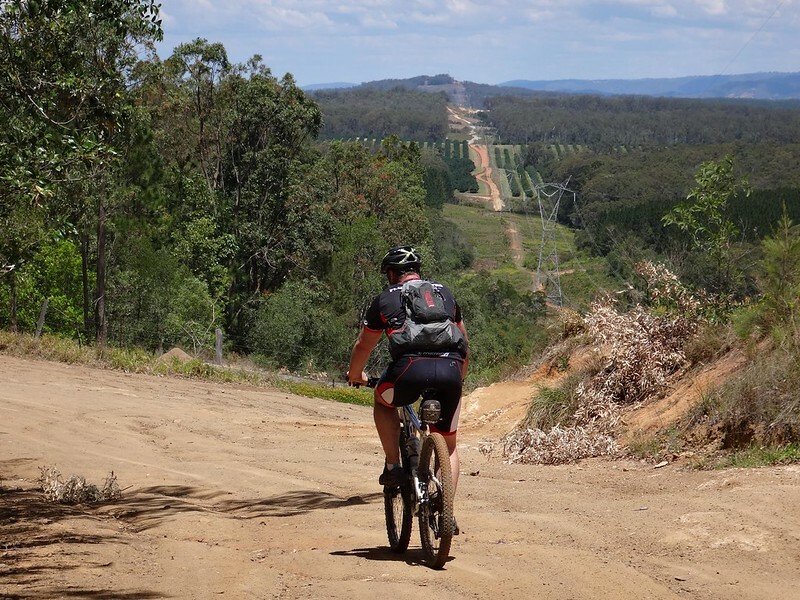 The great thing about the Glasshouse Mountains is that you don’t have to look very far to find alternative routes. There are trails going off in all directions. 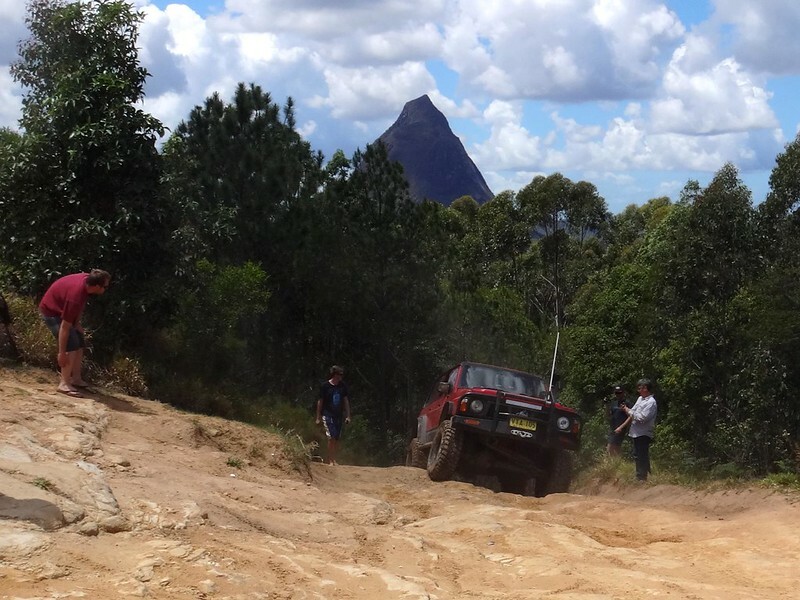 As we neared Mount Beerwah we met a couple of vehicles coming in the opposite direction. 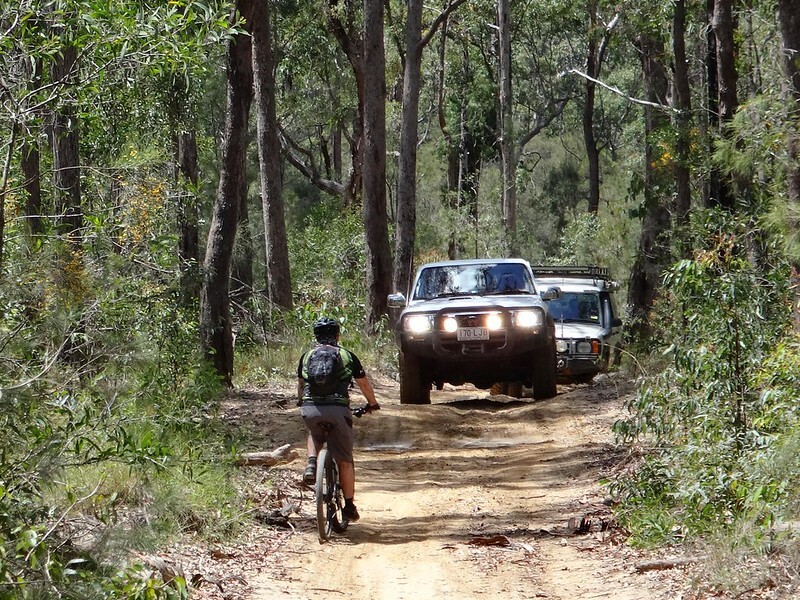 Everyone must have had the same idea – that today was a good day to get out in the bush. 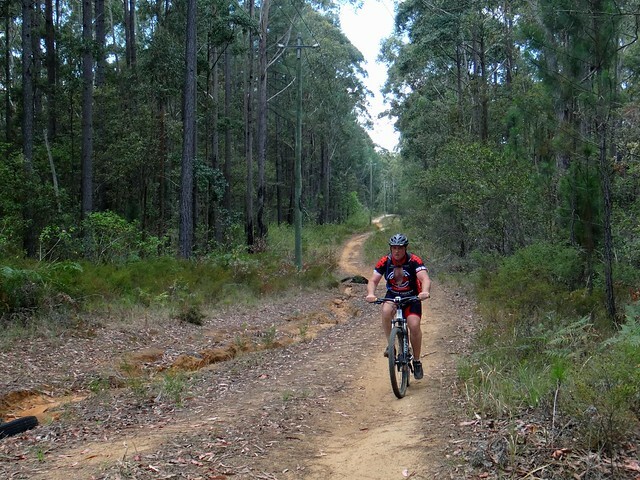 This was another section of trail I wanted to check out before the social ride. 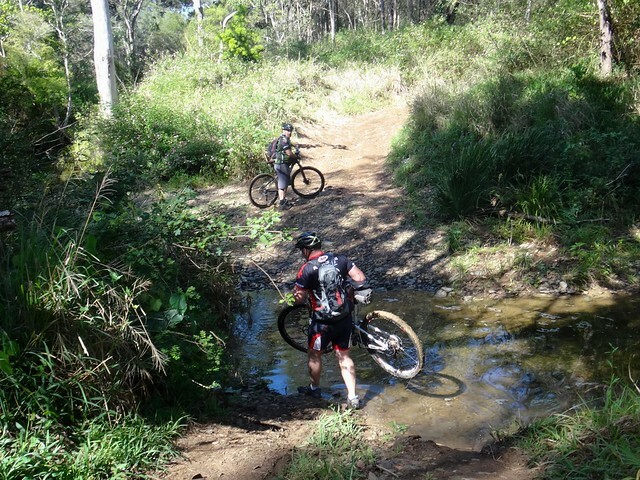 It had lots of twisting tracks which snaked around puddles and over hills. 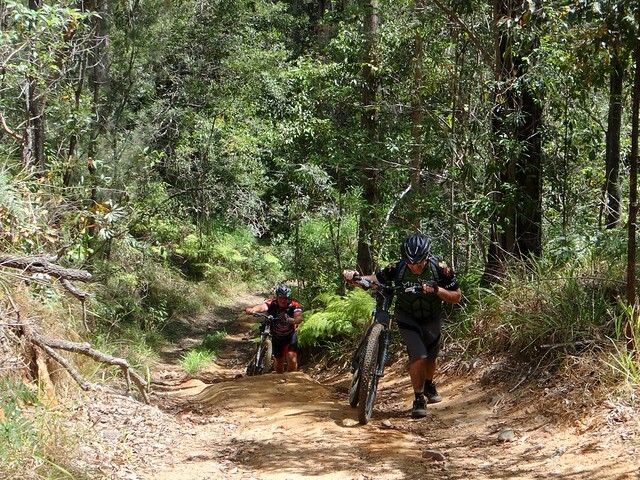 The final bit of trail on Sargeants Road is a very steep pinch-climb out. Previously I’ve had to push my bike out. Today I rode up it. “FIG JAM!” I yelled out as I reached the top. I was very pleased with myself. Simon and Darb were very gracious and let me enjoy my moment. Back on the tarmac we made our way into town for lunch, as the titan Coonowrin looked mournfully down at us. In Kabi / Gubbi Gubbi legend, Coonowrin was the cowardly eldest son who didn’t come to the aid of his pregnant mother before an approaching storm. Sometimes I swear I can see a sad face on the side of the rocky monolith. 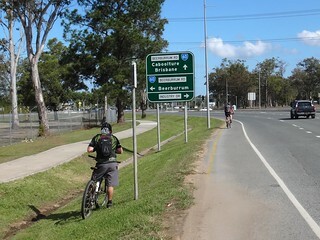 We were now riding south on the homeward leg of our Epic adventure. My backside was starting to feel a bit sore, my legs had a pleasant ache to them, but I’d kept an eye on my hydration and electrolyte levels. Everything was going perfectly. 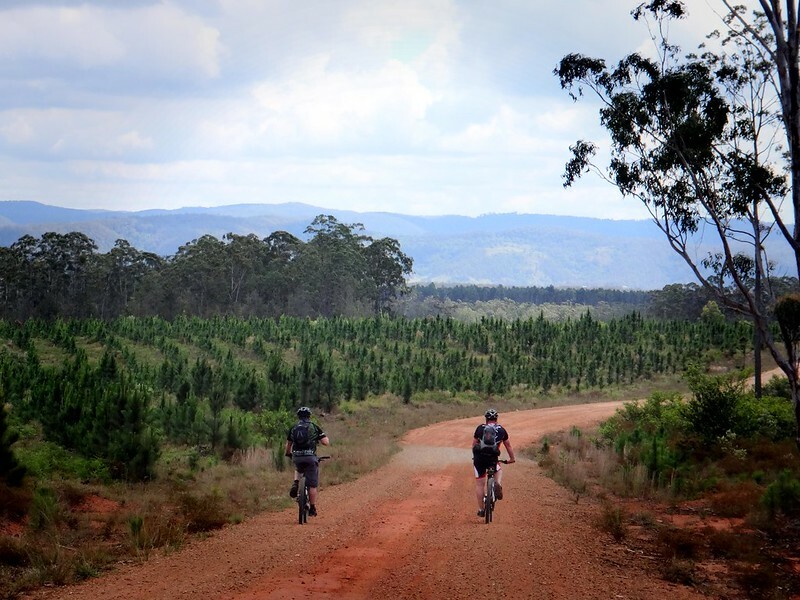 The dirt tracks morphed into quiet paved roads, which slowly grew busier as we rode through Caboolture. 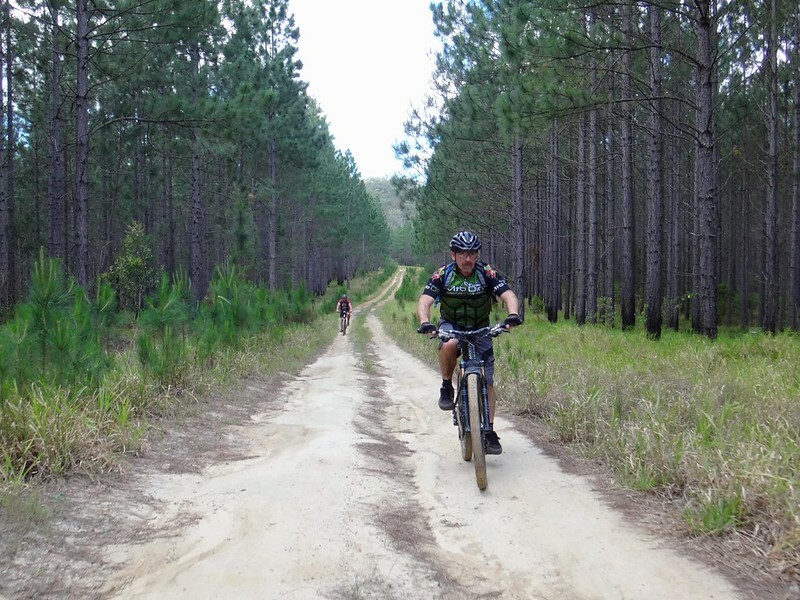 Mountain Bikers don’t like riding on tarmac much – but they were a necessary evil as we headed home. 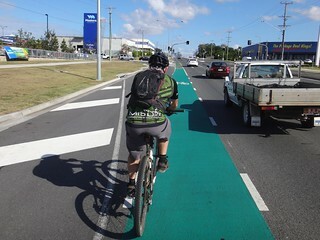 As we rolled along familiar bike paths close to home, we congratulated each other on a top effort. 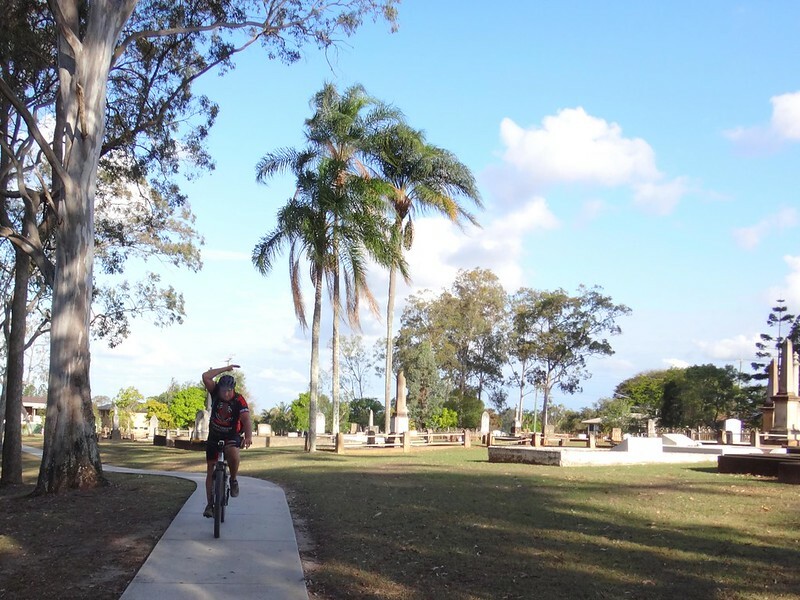 As Simon and I rolled through Lawnton cemetery, I thought about how lucky we were to be alive. Above the ground, rather than under it. 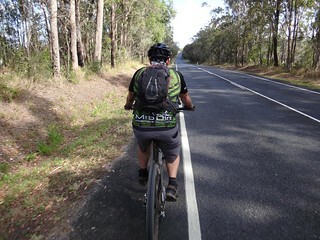 Just then a Butcher Bird smacked me on the side of my helmet, as nesting birds often do, and roused me from my reverie. Simon waved his hand furiously above his head to ward off the aggressive avian. I just laughed. We had started the day in support of a friend who wanted to do something to combat a disease which kills people, including numerous children. We had ended it in a graveyard, pondering our own mortality, and getting attacked by a bird who was trying to protect the new life in its nest. We don’t beat the Grim Reaper by living longer, we beat the Reaper by living well and living fully, for the Reaper will come for all of us. The question is what do we do between the time we are born and the time he shows up. I want to live well. 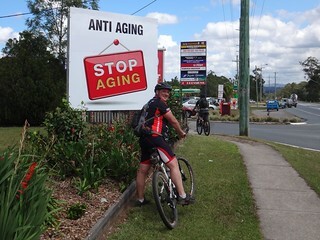 Darb rode a whopping 150km. I burned over 5,000 kcal, and climbed 1,700m in vertical ascent. This ride was easer than we anticipated. We maintained a steady pace, kept well-hydrated, and enjoyed regular light snacks throughout the day. 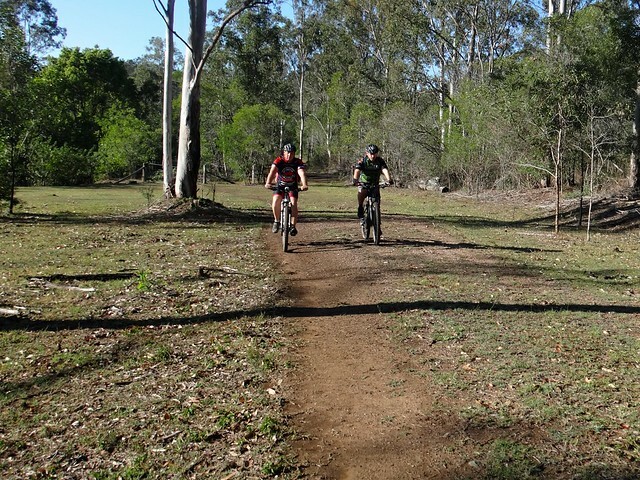 Thanks Darb and Simon for a memorable day on the bike! 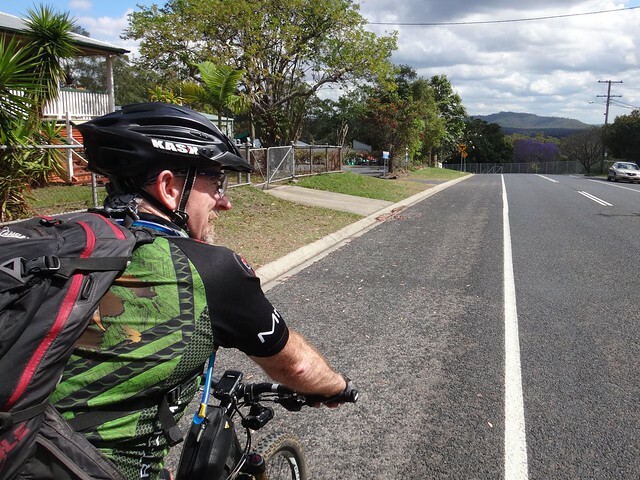 Here’s Darb’s video of our ride. Glasshouse Mt Mega Loop 2014-10-18 from Darb Ryan on Vimeo. Loved the history in this! 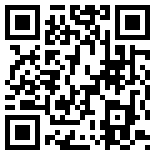 I thought it was particularly good as it was for cancer as well so I linked it to my families webpage. 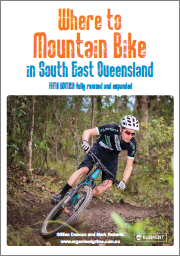 I’ll keep “Secrets on the Lake” in mind next time we’re doing an overnighter through the Blackall Range.